In a nutshell, the Volt is an electric car with a range extender. On a full charge the sleekly designed Volt can travel up to 40 miles powered by more than 200, 5x7 inch lithium-ion battery cells. Once the batteries run low, the range extender or gas generator kicks in and supplies electricity to charge the batteries to run the electric motor. 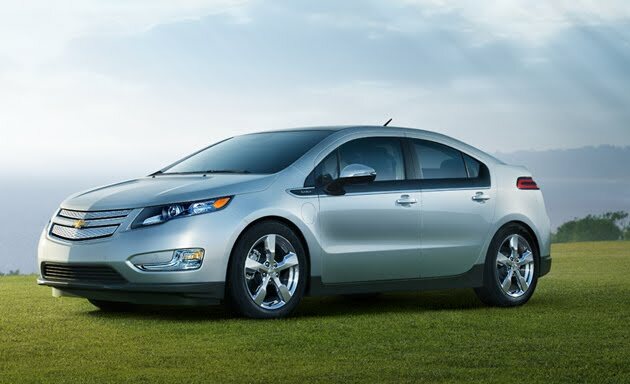 The Volt combines these innovative technologies with new features that make this an exciting vehicle. Using the OnStar mobile app, the owner can monitor the remaining charge and range, unlock doors, and start the vehicle. Touted as one of the most advanced mobile devices of the coming generation, the Chevy Volt will make us rethink how we commute.